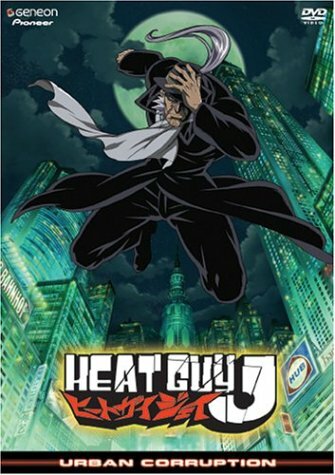 Heat Guy J #6- Urban Corruption - BUY THIS DVD! In this edition of the action anime HEAT GUY J, the Special Unit confront Judoh's underworld, looking for information about the new Vampire and the suspected leader of the underworld, Serge Echigo. Amidst arson, murder, and money laundering, tragedy strikes the team when Edmundo's partner is killed, and Monica's photo shop is destroyed. Can the Special Unit protect them all and find justice? HOW TO WIN? SIMPLE. SEND IN YOUR NAME AND ADDRESS TO contests@efilmcritic.com. Put "HEAT GUY 6" in the subject line and cross your fingers. There will be 5 lucky winners. We will draw names and one of the DVDs from Geneon will be yours. Only 1 entry per household.